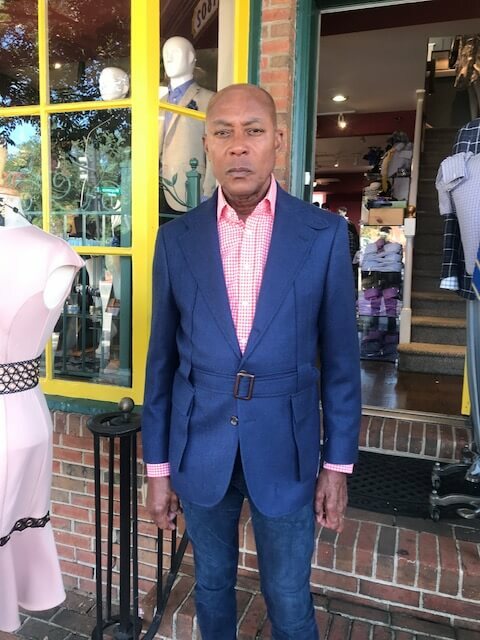 Elegant silk and cashmer sport coat in a lovely pearl gray. Two button, notch lapel and two side vents. Trim fit. Fully lined. 55% silk, 45% cashmere.